About Box’s cloud storage. See also Cloud. OK, another tutorial video done: this time on how to use Kerika with Box. Kerika works seamlessly with Box for secure storage of all your project files: just sign up as a Kerika user with your Box ID, and all your Kerika files will be stored in your own Box Account, where they will always be under your control. This tutorial video shows you how. Intended audience for this video: new Kerika users who want to leverage Box. 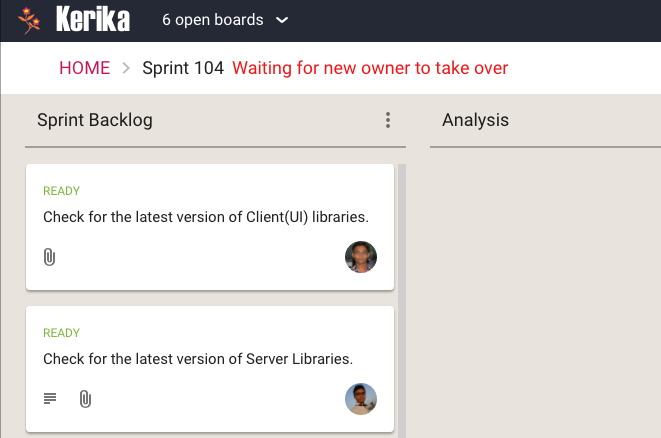 For users who sign up directly, the files they add to their Kerika boards are stored by us using the Box Platform. Certain characters are not allowed in file names, e.g. “/”. We noticed people were running into this problem, most probably because they were hitting the wrong keys inadvertently when renaming files. Kerika is going to take of this silently from now on: if you try to rename a file using a character like “/” that Box can’t handle, Kerika will silently ignore that character in your renaming action. File names can’t be more than 260 bytes. For people using English and similar languages, this generally means a file name cannot be more than 260 characters (with each character requiring one byte of storage). But for most Asian languages, e.g. Thai or Japanese, one character may require two bytes of storage, because the size of the alphabet is much larger than the Roman alphabet used by English. This means that in some languages, file names may have to be much shorter, depending upon how many bytes are needed for storing each character, which in turn depends upon the size of their alphabets. Get more done, with Kerika! People usually don’t pay attention to the question of who owns a particular board, but it is an important question to consider when you create a new board: the Account Owner owns not just the board, but also all the files attached to cards and canvases on that board. 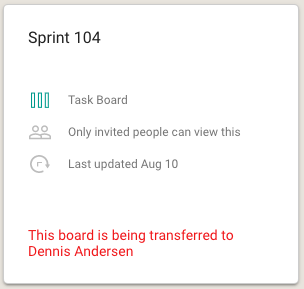 This is not always important (and often not important in day-to-day use of Kerika): our deep integration with Google and Box ensures that everyone who is part of the board team has automatic access to all the files needed for that board, with access permissions managed according to each individual’s role on the board: Board Admins and Team Members get read+write access; Visitors get read-only access. But when someone is planning to leave an organization, the question of ownership can suddenly become important: you don’t want an ex-employee to continue to own critical project files. Changing ownership of boards was not something that was easily done in the past — there were workarounds, but they were fairly cumbersome and obscure — and we mostly handled these as special requests, on a case-by-case basis. Note: once a board’s transfer is complete, it can’t be undone by you. 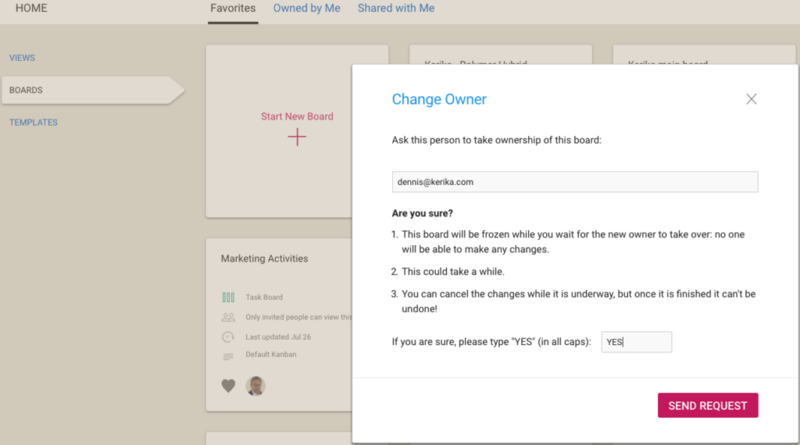 If you really need to get ownership back of a board, you will need to ask the new owner to transfer the board to you. All Kerika-related files are stored in a set of folders in a user’s Google Drive, organized by account and board. 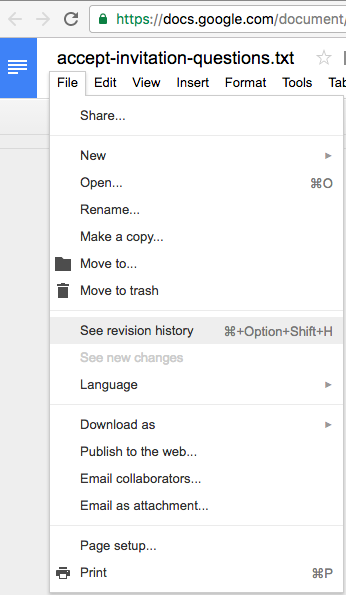 Google let’s us change the owner of a folder, so we can make sure that when a board is transferred the ownership of the associated Google Drive folder is also changed. However, for the individual files contained within the folder, Google only allows for a change of ownership of files that are part of Google Docs: documents, spreadsheets, presentations, forms, etc. Files like images (.jpg, .png, .gif), zip files, and PDFs, for example, retain their old ownership between the Google API doesn’t let Kerika change the ownership of these “non-Google-formatted” file types. If you have signed up directly with Kerika, we use the Box Platform to store your files for you — Box is a secure, reliable cloud service and we have been a partner with them for several years. But we do all this for you: efficiently, quietly and behind the scenes. However, we found that some users automatically block third-party cookies (this is a browser setting available in all types of browsers). 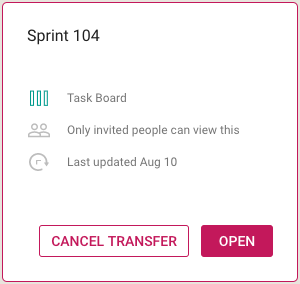 This was causing problems for the preview function for these users: when a user clicks on a file attached to a card or canvas, that’s getting stored in Box by Kerika for that user, we use Box’s Preview function in the form of an IFRAME. Using an IFRAME enables us to add some Kerika-specific features, like automatic version tracking, to the standard Box Preview function. This, however, requires users to allow Box.com to set a cookie, and this can fail if the user has never permitted Box.com to set cookies, or is automatically blocking all third-party cookies in their browser: when you are using Kerika.com, Box.com is effectively a third-party to the connection. We want to make sure people understand this can be a problem, so we have added some smarts to Kerika to detect when people who have signed up directly are blocking Box.com. If this is the case, a pop-up dialog box will appear explaining why the Preview function won’t work correctly without allowing Box.com’s cookies to be stored in the browser. Kerika with the Box Platform: a Customer’s Perspective from Arun Kumar on Vimeo. In the example above, when a Team Member adds another document called Foo.docx to a card that already has a file attached to it with the same name and file type, Kerika treats the new document as a new version of the old Foo.docx rather than as two documents called Foo.docx. 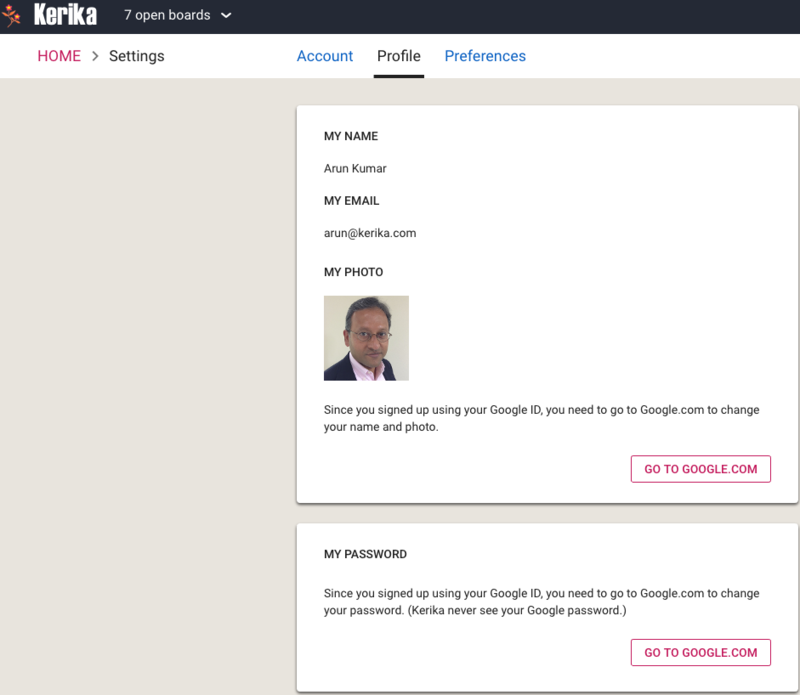 And what if you signed up directly with Kerika, without using a Google or Box ID? We provide an easy way to get to older versions of a file for users who signed up directly: when you are previewing a file, click on the Older versions of this file link on the top-right. Did you know that we have made it really easy to download files that you attach to a Kerika card, canvas or board? Rename a file shows off our integration with Google Drive (for our Kerika+Google users) and with Box’s service (for our Kerika+Box users): renaming the file from inside Kerika will automatically rename it in your Google Drive or Box folder as well. Deleting a file attachment doesn’t actually delete the file from your Google Drive or Box account: it just means that file is no longer attached to that particular Kerika card, canvas or board.